Alexion’s new drug for a rare blood disease has hit the mark in two Phase 3 clinical studies – just days after it emerged that EU regulators may overturn a patent on its rare diseases blockbuster Soliris. 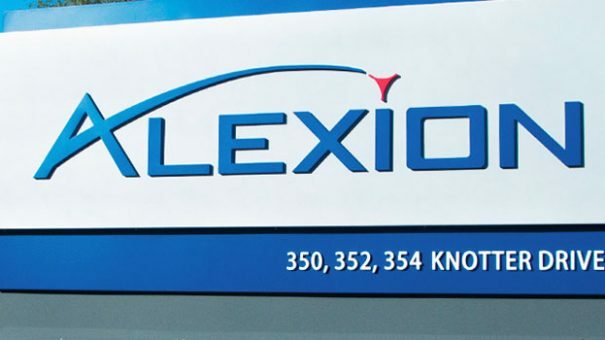 Connecticut-based Alexion is developing an ALXN1210 as a more convenient alternative to its already marketed Soliris (eculizumab), with an injection every eight weeks instead of a fortnightly injection. The trials were designed to show ALXN1210, is as safe and effective as its predecessor, one of the world’s most expensive drugs in paroxysmal nocturnal haemoglobinuria (PNH). PNH is a chronic, progressive, debilitating, and potentially life-threatening rare blood disorder that can strike people without warning, usually affecting individuals in their early 30s. The success of these phase 3 studies for ALXN1210 should spell positive news for when Alexion’s patents for Soliris expire: on 16 March 2021 in the US and on 1 May 2020 in Europe. But shares in Alexion were down over the weekend after the announcement that the European Patent Office said in a preliminary opinion that it may throw out a key European patent on Soliris. However the matter is not likely to be resolved until early next year – but the billions of dollars Soliris generates each year makes investors decidedly twitchy. Amgen has an eculizumab biosimilar, ABP959, already in development and ​Epirus Biopharmaceutical is working on its version of the product and is expected to file for approval in 2020. Alexion is now poised to file ALXN1210 for rapid approval in the middle of this year, potentially safeguarding its place – and substantial profits – in the market for PNH drugs. One of the phase 3 studies showed that patients can be effectively and safely switched from fortnightly treatments of Soliris to treatment with ALXN1210 every eight weeks. The second phase 3 study confirmed that ALXN1210 demonstrated non-inferiority to Soliris in complement inhibitor treatment-naïve patients suffering from PNH. Soliris costs £340,200 per patient for the first year of treatment and approximately £327,600 for a year’s worth of the maintenance dose.